Restore American Glory » Beto Couldn’t Beat Ted Cruz. He Can’t Beat Donald Trump. Beto Couldn’t Beat Ted Cruz. He Can’t Beat Donald Trump. 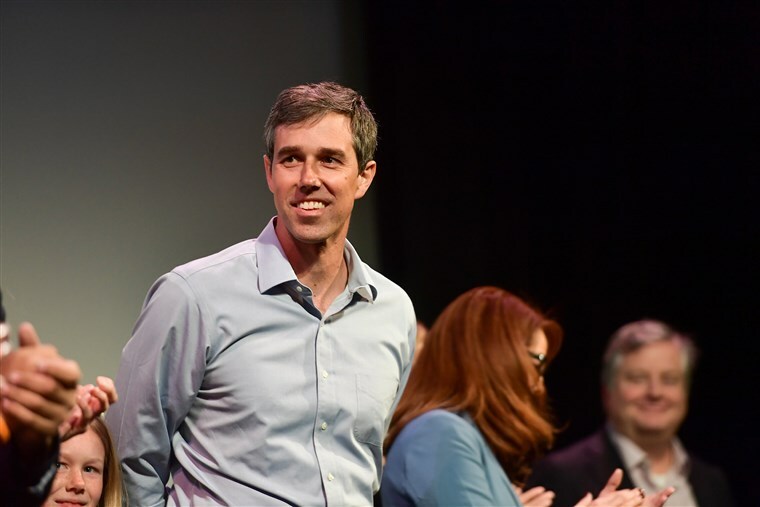 With less fanfare than one might have expected a few months ago, fading Texas political superstar Beto O’Rourke threw his name into the already-overcrowded 2020 ring on Wednesday. But while O’Rourke was the hottest name in the Celebricratic Party in early November when he almost pulled off an upset win over Sen. Ted Cruz, it feels a little bit like the bloom is already off the rose for the young Democrat. Maybe it’s the fact that there are already dozens of Democrats running for president. Maybe it’s the fact that O’Rourke lags far behind Bernie Sanders and Joe Biden in the polls. Maybe it’s the fact that O’Rourke’s biggest “accomplishment” is losing a high profile Senate race. Whatever it is, it’s hard to imagine that BETO can win the Democratic primaries, much less defeat President Trump in the 2020 general election. Yep…sounds like a politician all right. We fail to see what’s so special about this guy. He’s not inordinately good looking, he’s really not all that charismatic, and he has done literally nothing of note in his political career. He’s got a weird, self-christened name, he’s relatively young, and he used to be in a punk rock band. We suppose that’s something, but we’re not sure it adds up to presidential material. But hey, you wouldn’t expect us to like him. The interesting thing is that he doesn’t even seem to be all that popular among Democrats anymore. Over at Salon, writer Josh Voorhees wrote that there’s “no reason” for Beto 2020 to exist. Exactly. Beto O’Rourke is running for president for one reason and one reason only: Because he thinks he might have an outside shot of actually winning. If personal ambition were enough to recommend one for the White House, President Hillary Clinton would be sitting in the Oval Office as we speak. Beto lost to Cruz. He would lose to Trump. But realistically? We’ll be shocked if he gets anywhere near the general election.